There are many powerful ways to improve focus so you can tune out noises that are distracting you. That’s a good thing. Because there will always be distractions. 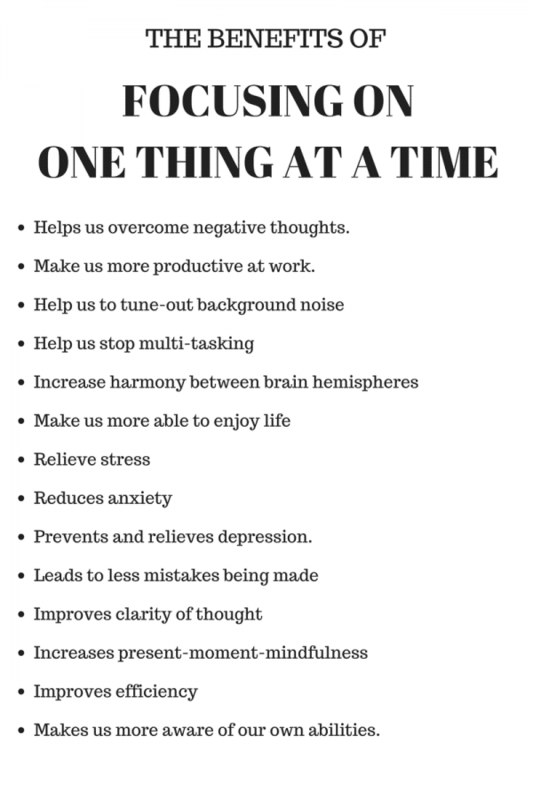 Some of those distractions are environmental (like background noise), and others are internal, like stress (here’s 11 amazing ways to stop stress). The trained, enlightened mind knows how to tune out distractions. The unenlightened do not. That’s why Zen monks can focus all day, where most people have the focus of a fish. The slightest background noise can make the untrained mind lose focus. Distractions at home, at the office, school, or college, can seriously effect our productivity, our inner peace, and our happiness. Thankfully, there are smart ways in which we can block or tune-out background noises. Doing so enables us to focus for longer, so we can keep our focus and be inwardly peaceful. Eat properly, because you’re not you when you’re hungry (thanks, Snickers). There are many excellent foods for focus. Avoid stimulants, which excite the mind and make us more reactive to sound and information. How Bad Is Your Mental Focus? Some people suffer from misophonia (hyper-sensitivity to noise). This is no mere distraction. People with misophonia can suffer from depression, anxiety and extreme anger caused by noise. Many others suffer from general noise sensitivity. A scientific study looked at 65,000 people and discovered that half of all workers are stressed by noises at work. This is a failure of government and big corporations. We here at THE DAILY MEDITATION are advocating for companies and the government to do more to lower noise levels at work so employees are healthier. Sadly, many people ignore these needs. Many people who are sensitive to noise are judgmentally labeled as “high-strung” even though scientific research shows that sounds do indeed have real physiological effects and can seriously reduce productivity, performance, and inner peace. Noise can lead to stress. This causes a raise in heartbeat, increase in pulse, digestive problems, and many other heath complications. If those background noises are getting your blood up, there are 12 excellent techniques I recommend for dealing with stress. If you, like me, are hypersensitive to sound, you may have looked for solutions without success. Some of the obvious strategies simply don’t work for us. Headphones and ear-plugs can cause pain for people with ear complications. And it is not always possible to change our environment. When we are stuck with the noise, we must train the mind to be able to tune-out those distractions. Research shows we need to cut out distractions in order to improve productivity. Phones are the number one distraction. But why do people waste so much time on the phone? One way to focus your mind is with the FOCUS system. FOCUS stands for “follow one course until successful”. Essentially, this entire process is designed to stop you multi-tasking so you are more productive. Because focusing on one thing at a time is proven to be a lot more effective. For starters, when I wake up I’ll meditate. Because if I don’t meditate my monkey mind will hit the roof and my focus will be all over the place. So to start, sit yourself down in the morning and meditate (or just do it in bed). 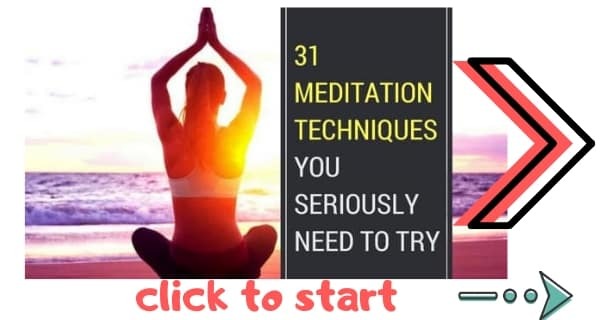 If you’ve never meditated before then read this guide to beginners meditation (and also join us on Facebook because you’ll learn a ton about meditation there). 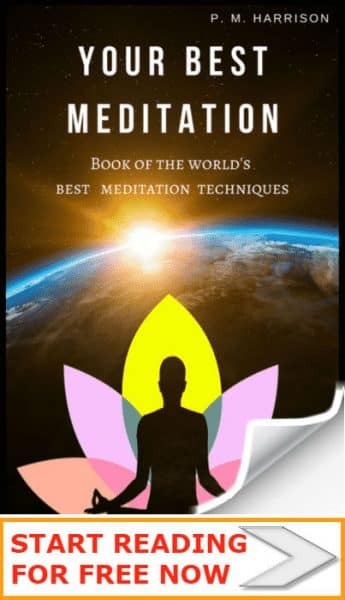 After you’ve meditated for 20 minutes you will have focus temporarily. But here’s the problem. You may very well lose your focus because as you go through your day there’ll be more distractions vying for your attention than there are stars in sky. After meditating you’ll have focus, but you will lose it if you don’t do the next step. When you’re ready to finish your meditation, ask yourself what’s the next thing I have to do. Simple, right? Just ask yourself what the next thing you have to do is. Not the 100 next things you have to do, the one thing you have to do. If you have to eat breakfast, eating breakfast is the answer. Wrong answer: “Well, I have to have something to eat, and then I have to shower, and then brush my teeth, then I’ll have to phone work I suppose…” Stop it. Decide the one action you must take next. Next up, meditate while doing that one action. Do that one action mindfully (never done it before? No sweat. I’ve gone ahead and written a complete guide to mindfulness meditation for you.). So do that one thing mindfully. When you finish doing that one thing, take a short break to just focus on breathing. As you were completing your one action from above, you will have started to think about other things. You’re eating breakfast but you’re thinking about your meeting at work. If you don’t erase those thoughts they’ll multiply until they’re swarming in your mind. Basic snowball effect: the one little thought gets bigger and bigger and bigger until that little snowball becomes a real issue. So take a moment to focus on your breathing. This will clear your mind like cleansing scrubs clear your skin (consider how many times you wash your hands a day—you should wash your mind as frequently). So, take a quick break to clear your mind. Decide on the next one thing you have to do. Do that mindfully, and repeat. If at some time during the day you lose your focus, stop. Do breathing meditation (anapansati) for 20 minutes. You can use a mudra called the Hakini Mudra to focus your mind. Mudras are hand gestures used in meditation and different belief systems. Science shows that mudras can boost mental performance. One mudra is especially important for mental focus. It’s called the Hakini Mudra. And it is simple to do. By holding our hands in the position described in that link (above), we boost both focus and positivity. This creates positive energy that will relax the mind and increase concentration. 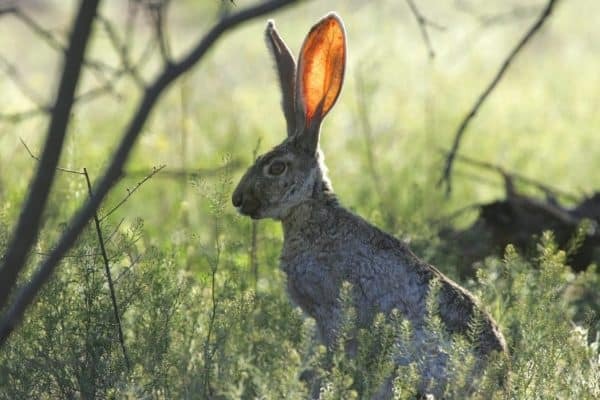 Human-beings tune-out sound using auditory selection. Auditory selection is the process through which our brains tune-in to important sound and tune-out unimportant sound. People who are easily distracted by sound may have lower auditory-selection skills than other people. This means they are less able to tune-out noise that they do not want to hear. The trick is to learn to accept the noise. Imagine you don’t get along with a colleague at work (let’s call him Tom). Tom is a grouch and is often angry. Plus, he is always chewing gum. When you hear tom chewing gum you’re reminded of his anger. So the sound of chewing gum actually makes you stressed because it makes you image Tom snapping at you. But what would happen if you weren’t bothered by Tom’s anger? You would be less sensitive to Tom’s chewing because you’re no longer bothered by the reminders of his anger. There is a root cause why certain sounds grate us. Weed-out that root cause and you will be less sensitive to the sound. If you meditate and you are sensitive to sound, there could be a connection. Some meditation techniques such as Dhyana can potentially cause this sensitivity. If you use this technique, try switching techniques. I particularly recommend grounding meditations. Have you ever noticed how there are times when you have excellent focus and times when you’re distracted by the slightest gust of wind? How do we explain his aberration? It’s like branches of a tree. The closer a branch is to the root of the tree, the less it will shake when the wind blows. The further away from the root we go, the more the branch will tremble and shake. When we are close to our root we are more grounded and less likely to be disturbed. When we are too easily distracted, we need to get grounded again. This is easy to achieve. Take a walk. Meditate. Have a laugh. Restore your spirits. When we are at peace within we are less effected by the noise of others. We can tune-out noise by being more mindful of relaxing sounds. Remember the last time you were utterly engrossed in a book. You were so absorbed in the book that you were hardly even aware of the sounds that usually distract you. When we’re engrossed in a) what we’re doing, or b) a relaxing sound around us, we are less reactive to noise and distractions. Find a way to introduce a relaxing sound into your home / office. Then train your mind to become absorbed in that relaxing sound (meditate on the sound). By training the mind to be more mindful of relaxing sounds we naturally tune-out distractions. These enlightened ideas will help you to tune-out noise so other people don’t distract you. Always remember to shield your inner peace from the noise of others. And you can always increase focus by meditating.